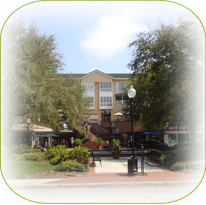 Capital Caldwell - Local Attractions | Tampa Residential Real Estate Sales and Property Management. Our office is centrally located in Ybor City. Centro Ybor features an exciting mix of retailers, restaurants and entertainment venues that captures the flavor of Tampa 's historic Latin Quarter. 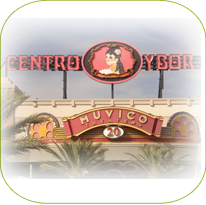 Muvico Centro Ybor 20 Theater centers the fun with surrounding venues such as GameWorks and The Improv. It is a unique and unforgettable experience you'll not find anywhere else. 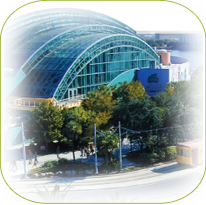 The Channelside District is located in downtown Tampa. Channelside is home to many great places to shop, eat, and party the night away. Inside Channelside you’ll find Splitsville home to the premiere bowling experience in Tampa Bay. 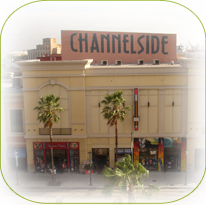 Channelside offers something for every taste and budget and is guaranteed to create ongoing entertainment for everyone. Old Hyde Park Village is the perfect combination of shopping, food, and fun for everyone. It turns an ordinary day into a special occasion. With ongoing entertainment throughout the day it is sure to provide fun for all. You can even attend one of Hyde Park Villages’ events where you get exclusive deals, food and beverage tasting, and giveaways. 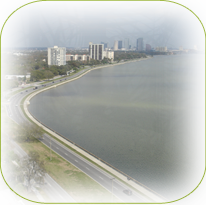 Bayshore Boulevard is an absolutely beautiful 7-mile waterfront sidewalk that is the perfect setting for strolling, biking, rollerblading, jogging or just enjoying the incredible view. Busch Gardens is Tampa Bay's premiere theme park. It is definitely the place for families of all ages to have fun. The park features SheiKra America's first dive coaster that takes you 200 feet up and hurles you 90 degees straight down. The coaster than takes you on a trip through a tunnel, through loops, and ends with a glide through water and did we mention it's floorless? 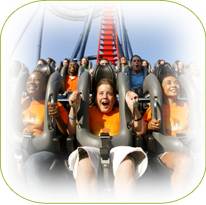 Busch Gardens is home to five other roller coasters that include the Montu, Kumba, Gwazi, Scorpion and the Cheetah Chase. While you are there you can share in the enjoyment of Land of the Dragons, KaTonga, and Rhino Rally. Don't forget to make a splash at Busch Gardens on the Congo River Rapids, Stanley Falls, or Tanganyika Tidal Wave. The Florida Aquarium features 200,000 square-feet of fun. Experience more than 20,000 aquatic plants and animals from Florida and around the world. Swim with the Fish at The Florida Aquarium in our largest exhibit! Over 2,300 fishes await guests 6 and up who are comfortable in the water. Meet and greet with the penguins at the promenade. Explore a Shore at the aquariums family friendly outdoor water park designed for young children and much more! Tampa Bay’s Zoo Voted #1 Family Friendly Zoo in America by Child Magazine. For the young and the young of heart Tampa’s Lowry Park Zoo offers enjoyment for people of all ages. 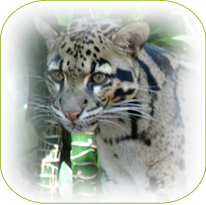 Visit more than 2,000 animals in lush habitats and experience their new rides, water play areas, shows, and restaurants. You can even ride down the Hillsborough River on the River Odyssey Eco Tour. Experience the animals in close up encounters through the interactive habits throughout the Zoo. 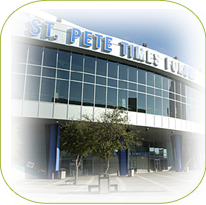 The St. Pete Times Forum is home to the Tampa Lightning Hockey Team and Tampa Bay Storm Football. In addition to being a sports venue the Forum hosts numerous other events year round including family events, shows on ice, concerts, the circus, and other indoor sporting activities. 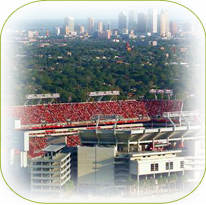 Raymond James Stadium is home to the Tampa Bay Buccaneers, University of South Tampa Florida Bulls, and the New Year’s Day Outback Bowl. Tampa Bay’s football fans enjoy watching the game in this stadium that is recognized as one of the best in the NFL. 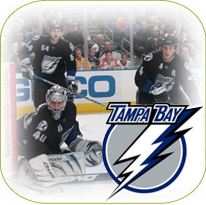 The Tampa Bay Lighting joined the National Hockey League Eastern Conference Southeast Division in 1992. Their team colors are black, silver, dark blue, and white and their home ice is at St. Pete Times Forum. The Tampa Bay Lightning are the 2004 Stanley Cup champions. The University of South Florida offers a wide variety of sports for men and women, these sports are the Bulls. 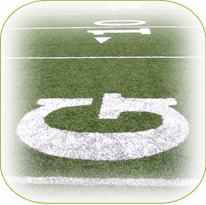 Intercollegiate Athletics are an integral part of the University. The University has been given recognition for intercollegiate athletics at state, regional, and national levels. The Tampa Bay Buccaneers joined professional football in 1976. In their 27th Season in January of 2003 the Buccaneers were victorious in Super Bowl XXXVII giving the Lombardi Trophy a new home. The Buccaneers defeated the Oakland Raiders 48-21. The University of South Florida offers 219 degree programs at undergraduate, graduate, specialist and doctoral levels, including a doctorate in medicine. The Carnegie Foundation for the Advancement of Teaching designated the University one of the nation’s top 63 public research universities and one of 39 community engaged public universities. The University of Tampa is a comprehensive, private university that offers more than 100 areas of study and pre-professional programs through a strong core curriculum rooted in the liberal arts. The University offers numerous graduate programs as well.